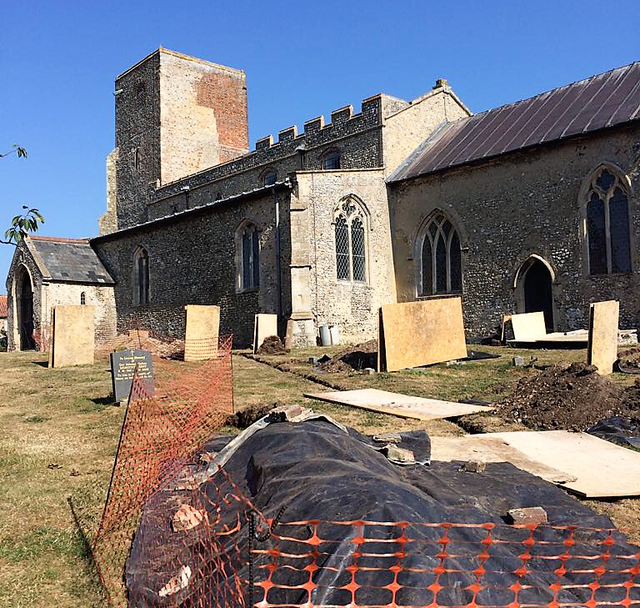 We are delighted that a major programme of building and restoration works began at All Saints, Morston, in July 2018. Improving drainage was the first priority, allowing rainwater to be properly carried away from the fabric of the building, before works began on the roof. 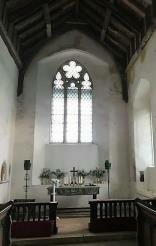 Rotten woodwork in the chancel has been removed and has being replaced. Work is also expected on repairs to the south aisle roof. 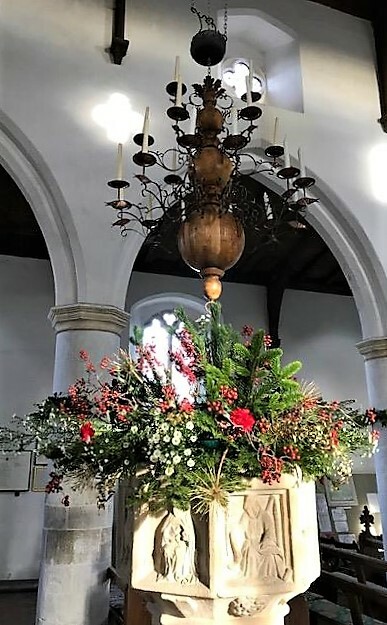 That this exciting programme is possible is due to the great generosity of those who have raised money and donated to Friends of Morston Church in recent years. 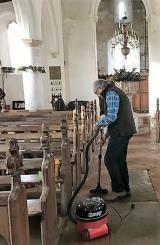 The scaffolding inside the church was down in time for Christmas, and after a thorough clean up we were ready for services. This very popular annual event is held in Morston Village Hall and features teams from Morston and surrounding villages. 2019 saw a first victory for The Morston Macaroons and raised over £1,100 for the charity's funds. Watch this space for information about the 2020 quiz. Our tenth and final annual charity book and plant sale takes place over the first May Bank Holiday weekend. Last year we raised over £14,000 for FMC, a quite astounding amount. 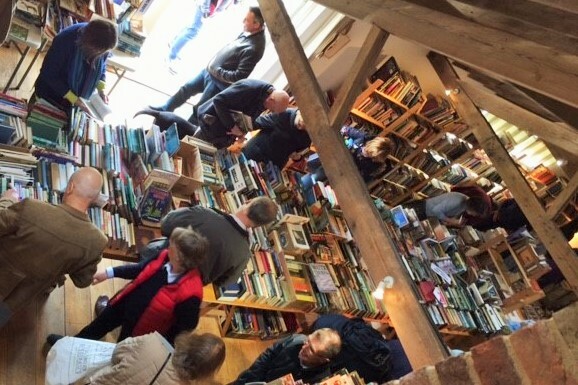 If you time to spare, to help with the set up and running of the sale, or have books available for 2019 please contact Sally Metcalfe on 07813 369145 or Peter Tibbetts on 01263 741082. We will happily collect. Our AGM in Morston Village Hall will report on fundraising and activities in 2018-19 and plans for the year ahead. To view the minutes of previous meetings, please visit the Reports page. The highly talented and hugely funny Impromptu Shakespeare acting troupe will visit Morston for one night of riotous improvisation just prior to a month of shows at the Edinburgh Festival Fringe. See 'Shakespeare' created on the spot, in the lovely setting of a Morston walled garden. More information from Sandra Morris (sandramaymorris@googlemail.com) or Peter Tibbetts (01263 741082 or petetibbetts@aol.com). The annual Shovell Dinner will be held Morston on the evening of Saturday 12th October. Speaker and further details to be announced shortly. Eight teams filled the Village Hall in 2019; Winning captain for the Morston Macaroons (centre) accepts the prize of wine from FMC Chairman Peter Tibbetts (left) and quizmaster Joc Wingfield.